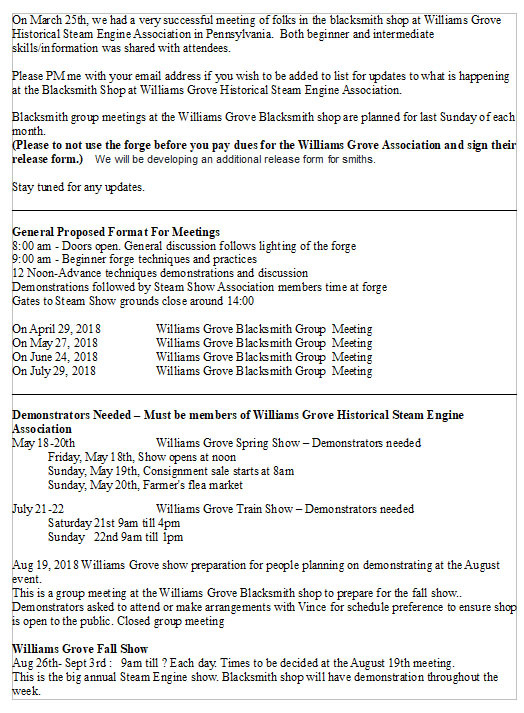 Williams Grove Historical Steam Engine Assoc Blacksmith shop Group interest? - The Iron Forge Fire Blackmithing Forum. Open invitation to the blacksmith shop this spring on Saturday, May 20th, 2017. This year there will be two blacksmith demonstrating at the forge and anvil. Will Smith and myself. We also want to create a group for regular meetings. So if you live in or near south Central PA. and would like to learn more about blacksmithing club opportunities or hammer-ins, contact us or post your interest here. If your interested in bringing your forge and anvil, pm me here on the forum or Facebook, so we can discuss the options. If there is enough interest in organizing an annual hammer-in we have a great location with plenty of space, parking and spectators. Wish I could come up there. Bet it would be fun. I would be interested in learning more about blacksmithing club opportunities and hammer-ins. There are large groups that have an annual meetings like ABANA, and SOFA. Then they have lots of small groups under them. It would help to know where you are. The Williams Grove ground are just south of Mechanicsburg PA. 17055. I post directions tonight. I did contact PABA to inform them of the opportunity. I joined PABA last summer. Most of their meets fall on a Saturday. Problem has been I work Saturday'sand haven't been able to attend. I'll contact ABANA to see if it's not to late to publish an announcement. Last year the meet was tge ssme week end of Marylands big meet. Sorry Hank, I meant Vince. Hi Metalmelt. Thanks for your response. I am located a little south of York, PA.
As for my background, I took up blacksmithing a little over a year ago with a basics class at the John C. Campbell school. I followed that up with a bladesmithing class at the Touchstone Center and forge welding at the Blacksmith Guild of Central Maryland (BGCM). On deck for me is a traditional joinery class at BGCM in March. I am a recent member of ABANA, PABA and also BGCM. I am pretty new at this and obviously in "training mode" but am having a blast. I was able to hammer out a few Christmas and Valentines gifts so that was pretty neat. My response to Hank was in reference to his proposed group for regular meetings and what blacksmithing club opportunities or hammer-ins they may have there (I am assuming) at Williams Grove. If you know of any other opportunities in my area please let me know. Hank, I received your email, thanks. I will give you a ring. Yes, the group would meet at Williams Grove. Depending on how much interest there was I could see there being a second area to meet, if one was a available. 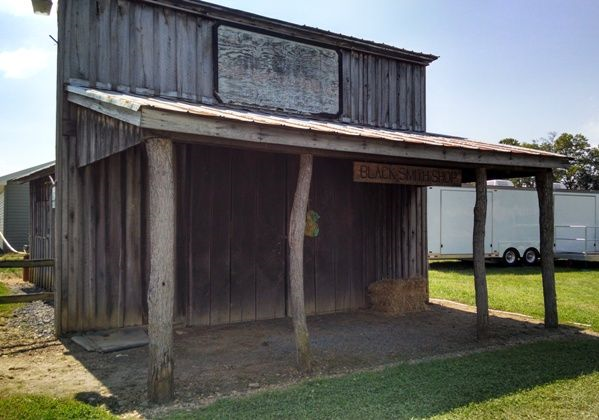 Here are the details, The Williams Grove board agreed to allowing a group to meet using the blacksmith shop. In exchange for demonstrating during their events. The shop has a dirt floor and a hearth forge, The forge is built side ways. A future hearth will be situated in a better position for spectators. There is new electric service and coal from the locomotive. Currently there are two shows. The big show is over the labor day weekend. Bill Clemens normally conducts the demonstration during that show. There is the possibility to coordinate with Bill to participate in the fall. The fall show has a concession dining area, A butcher shop, a running steam train and yes you can pay for a class to run the locomotive. In years past there have also been demonstration of rock crushing broom making, shingle shake cutters and operating steam engine rooms. Tractor pulls, tractor show and parade. steam tractors a running saw mill and a huge flea market with 8 to 10 auctioneers on Saturday. There is even a model train area and a new building housing antique equipment. 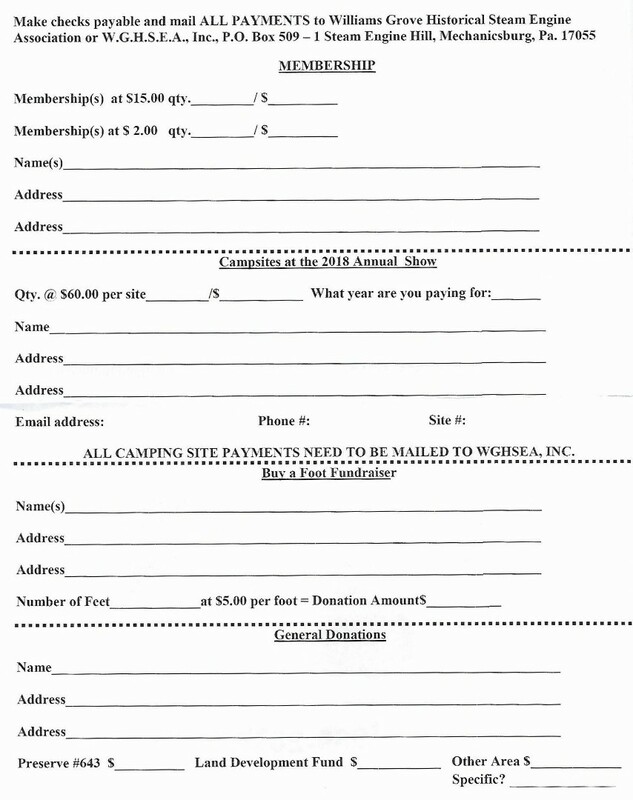 Camp sites are also available. The spring show is just starting to get traction. Although smaller there is a spring auction a car show and an open concession. The locomotive shop has a busy crew and with us at the blacksmith shop, there's the opportunity to grow interest in a blacksmith hammer-in. If we could get about a dozen or so folks I could see having monthly meets and the grounds just practicing and learning from each other. Tell people you know to spread the word. On Saturday I worked with Will Smith out at the Williams Grove blacksmith Shop. Will lives in the area and has great enthusiasm for the craft. Not to mention he has some great roots in the local area that includes one of the first blacksmith shops in the area. The crowd wad small and this allowed us to talk to our guest. It ended be a great experience working with Will. Will also opened the smitty on Friday and Sunday as well. The NJ Anvilman came out for a visit and a local historical administrator for Dills Tavern also stop by. Now I hope they login and post something but just in case they don't I got to share this. The Dill Tavern gentleman showed us a picture of a object half buried in the ground a lady found on her property with a metal detector. That said object was and early colonial anvil. It also looked well preserved. He asked us what we thought. Guess the reaction! The NJ Anvilman has started a museum in N.J. that represents just about every size and type of Fisher anvil ever made and then some. He has a very interesting story and I hope they both have time to stop by the forum and share. As far as future events go, I think we are going to push for an open hammer-in the first week in July during the train Show here at Williams Grove. This past week competes with the very popular Westminster show in Maryland. I think we can have a good response in July to an event. If you're interested in attending please contact me or join the forum. I'll send information via email to members as details become available. Timing is very important when planning those events. Good luck! I just wanted to invite anyone in Central Pa and the surrounding area to stop out at the Williams Grove Blacksmith Shop this Labor Day Week end and say Hello. Now is a good time to start organizing group meetings for the upcoming year. 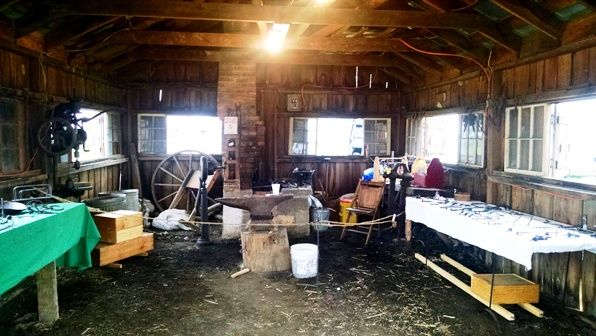 Please share and contact me if you have any interest in a blacksmith group in Central PA.
We have a blacksmith shop, a hearth forge and anvil with yearly event to demonstrate to the general public what Blacksmithing is all about. We just need people interested in doing it. The pictures show the bones of what we have to work with. I hope there's interest. I'll be demonstrating this labor day weekend at Williams Grove. So if you live in Central PA stop by to say hello. It's also a great time to organize monthly or quarterly meetings at the smitty. To keep this Thread on the top... and it is almost Labor Day ! Wish I was in the area I would definitely stop in... did you say coffee !?! I need to look up what's happening around my area. Hank/Vince what are the chances of arranging a time and date once every month or two on a regular basis to meet at the Williamsgrove Steamshow grounds? I am a member of the Williamsgrove Steamshow Association so I expect that I would be covered by them as a demonstrator when and if a demonstrator for a meeting(s) is useful. Regular meetings is how groups are formed. I was not able to come by on Labor Day due to family considerations. Hi David thanks for your interest I agree with you it's time to start scheduling regular meetings at Williams Grove to see who will show up. I will contact the Grove and confirm with them what our options are to start this and then we'll schedule a time that I think most people will be able to make and we'll see what happens. Look for an update later this week. Thank you. Please keep me informed so that I may help promote any and all events and meetings. I sure will. It's on my to-do list and it just seems that everything else in life is getting in the way I cannot believe how busy I remain. I will get moving on this ASAP I'm not sure what that means though. ASAP is the abbreviation for As Soon As Possible.... How are things progressing? I'll let you know tomorrow. 11/22/2017. what the options are. 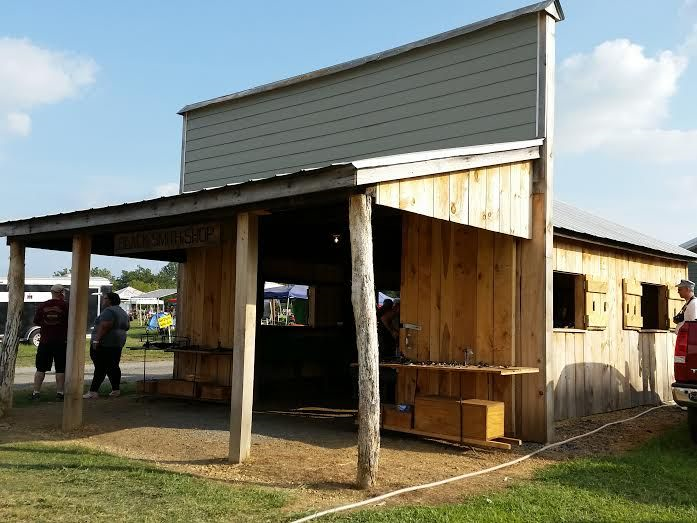 This is an update on creating a central Pennsylvania blacksmith group with regular monthly meetings at Williams Grove. There is a new board president that I will be in touch with hopefully on Sunday. I will discuss with him what our plans are and we'll have to present it to the board in January. After that I don't see that there should be an issue for having a group meet and a regular designated time. If anybody in central Pennsylvania is interested in meeting with this group make a post on this thread it'll be the easiest and most reliable way that I'm going to be able to contact you when the meeting start. Anyone intrested in joining the Williams Grove Blacksmith Group can stop by the Williamsburg forge Saturday, March 24th between 18:00 And 20:00 hours. I'll also be at the smiyty Sunday morning between 8 and noon. I do not claim to be lighting the forge instead this is a organizational meet and greet. I will be sending out a forum update with the same that's posted here. Just a note. Post your comments in this thread with any ideas suggestions. I realized there are two threads for this topic. I will merge them soon.